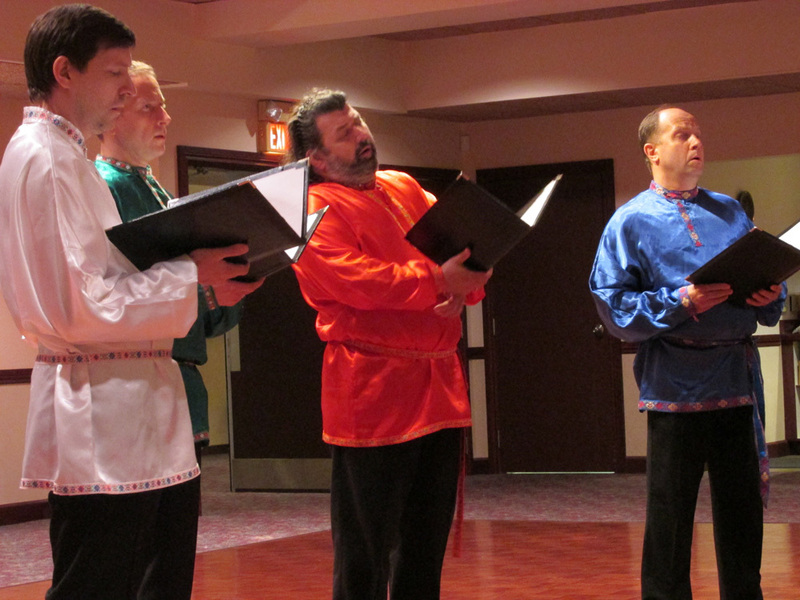 On Thursday, June 12th, 2014, the Konevets Quartet from St. Petersburg, Russia, performed a wonderful concert at St. Michael the Archangel Moscow Patriarchal Parish in Redford, Michigan. 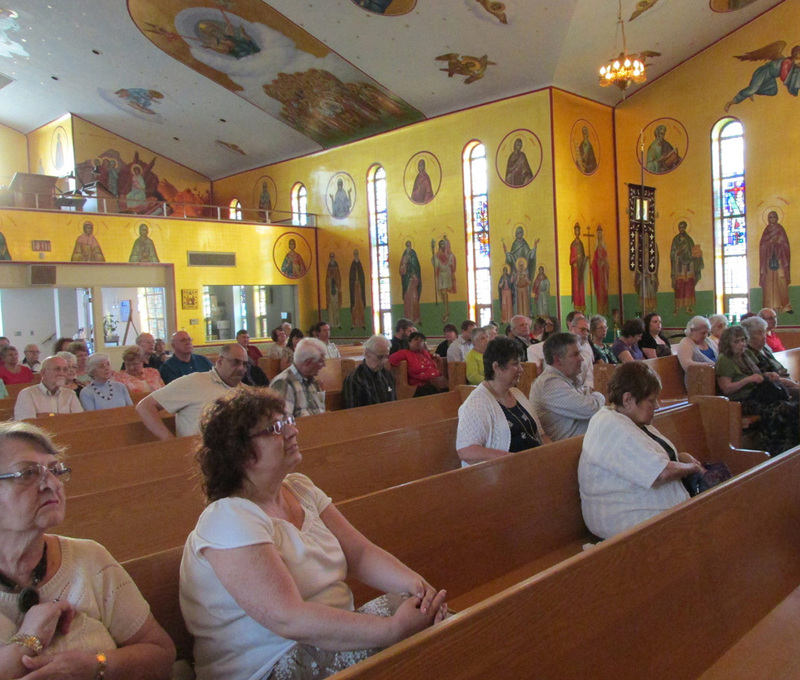 The concert was co-sponsored by both St. Innocent Patriarchal Parish, also in Redford, whose Pastor is Rt. Rev. Roman Star, the Dean of the Central States Deanery, and St. Michael’s Church, whose Pastor is Rt. Rev. Timothy Barna. 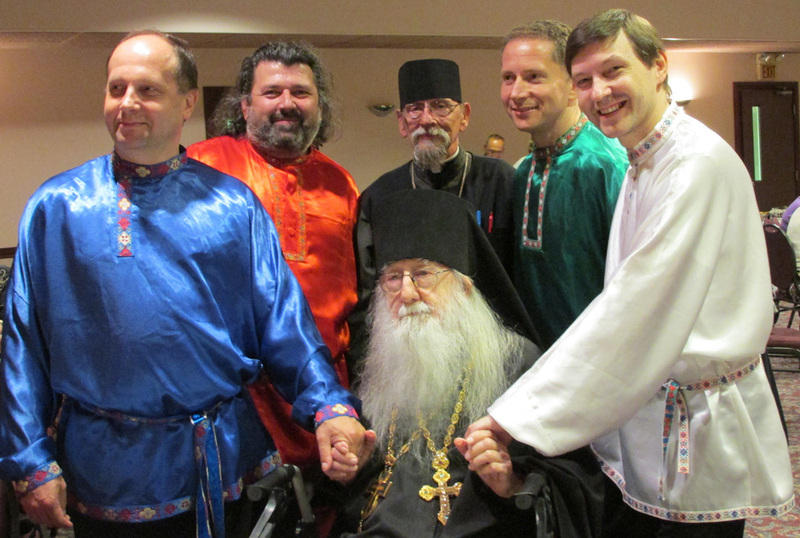 Also attending the concert were 96-year-old Archimandrite Ilya (Barna), Pastor Emeritus of St. Michael’s; Fr. 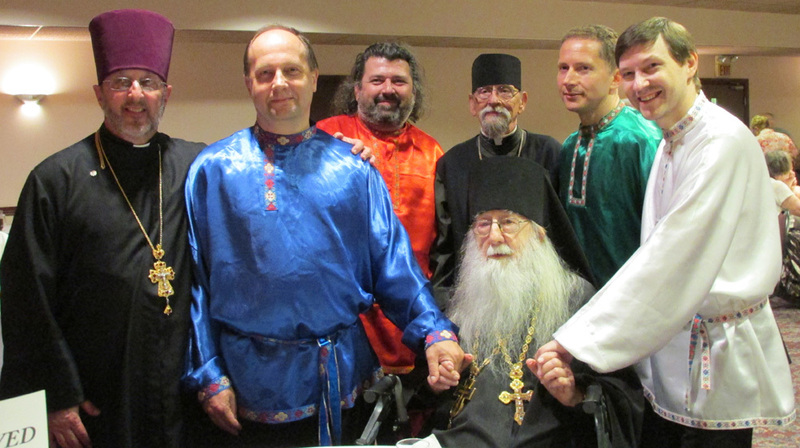 Daneil Shirak, the Assistant Priest at St. Innocent; and Fr. Deacon Daniel Woytowich, Deacon at St. Michael’s. The members of the Konevets Quartet, originally formed in 1992 at the Konyevets Monastery on Lake Ladoga, are graduates of major music schools in St. Petersburg; they are all professional, accomplished musicians, individually and as part of the ensemble. 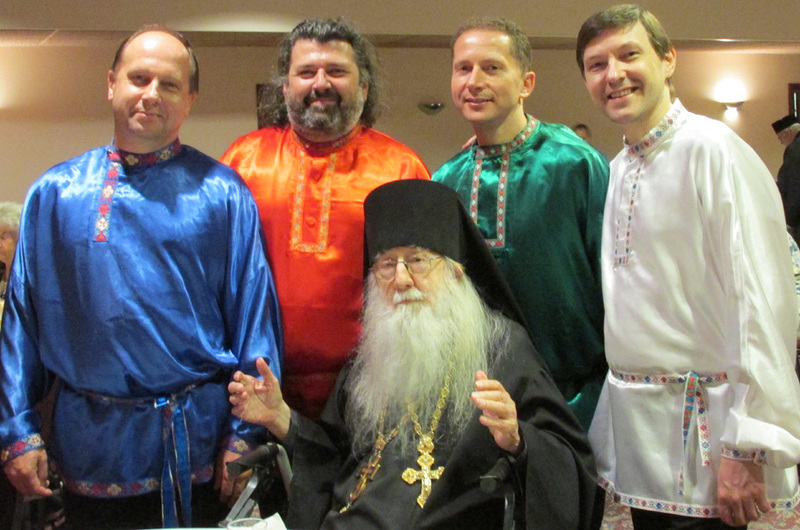 Their concerts are always magnificent and inspiring, offered in a prayerful manner, whether they are singing liturgical or folk music. 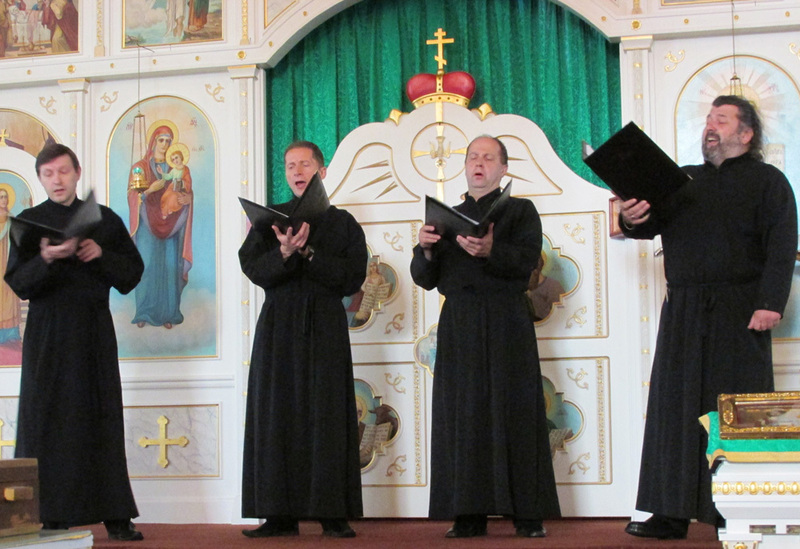 The first part of their concert, comprised of liturgical music, was performed in the church, and the second part, consisting of folk music, was held in the hall. The people attending responded very enthusiastically to the fantastic performance, and eagerly rose in a standing-ovation at the end. 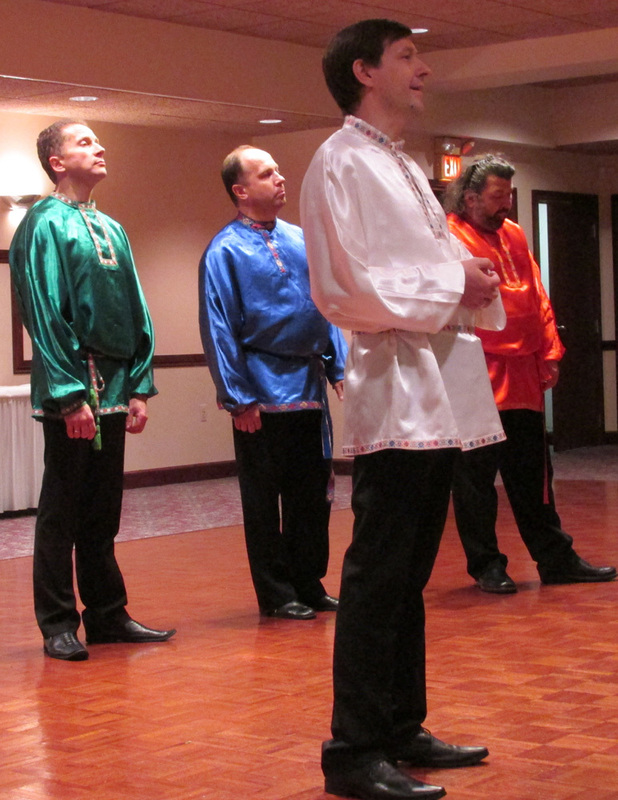 The four musicians regularly travel to America and other countries, giving concerts to raise money, in part to assist in the rebuilding of the Konyevets Monastery. 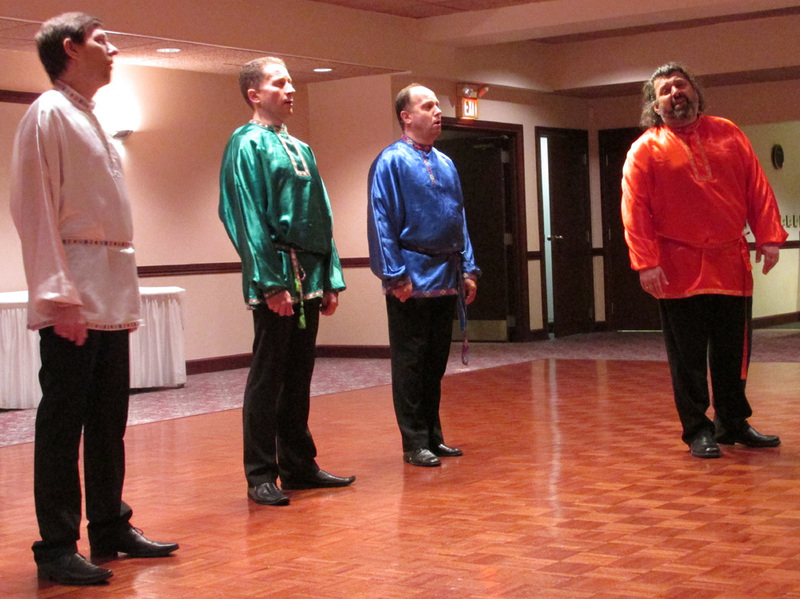 This is the third time the ensemble has performed in the Metro-Detroit area in recent years. St. Michael the Archangel Parish graciously hosted the ensemble’s concert, offering delicious refreshments at a fine reception in their large banquet hall.